These Instant Pot Pork Lettuce Wraps have a healthy secret. Whole grain wheat berries add a chewy whole-grain goodness to the ground pork! Whole Grain Version of Laarb! I love laarb. Laarb is a Northern Thai dish that is ground meat cooked with various Thai chiles, herbs and spices. Anytime I find a variation of Laarb, I make it. Like these Thai Beef Cabbage Wraps from Nigella. So when I saw this whole grain version in The Great Big Pressure Cooker Book, I immediately added it to my menu. I was intrigued. I have been trying to add whole grains to our diet, and adding it to one of my favorite dishes could either go horribly wrong or be utter genius. I am pleased to say that it was the later! Click here to pin this Instant Pot Pork Lettuce Wraps now! 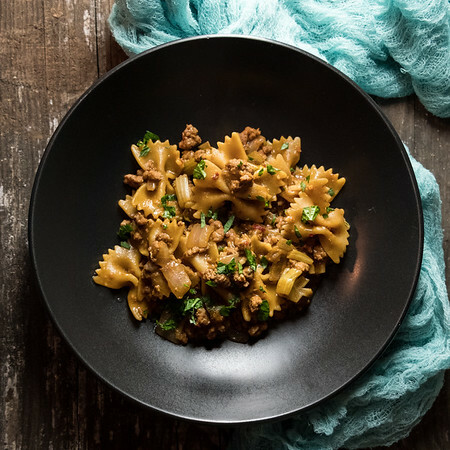 What makes this even better is it is done in one of my top favorite small appliances, my Instant Pot though you could use any electric pressure cooker. In this recipe, you first use the Instant Pot to make the wheat berries. Then you drain them, turn on the saute feature and brown the meat with the spices. You stir back in the wheat berries and you are finished. 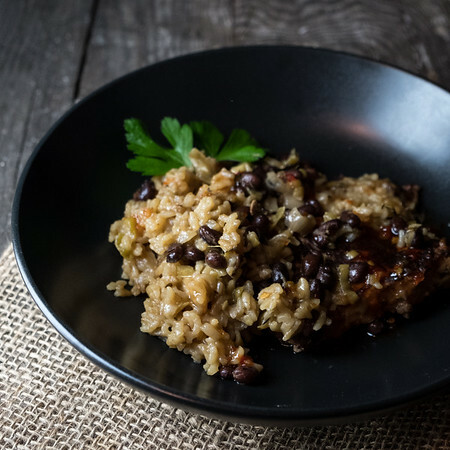 What I love about this recipe is that the grains don’t feel like an after thought, like you added them just to be healthy. They add a pleasing chewiness to the whole dish. Really, this will now be the way I make all versions of laarb! To turn into a meal, I made a quick salad of carrots and radishes, which I tossed with lime juice and minced cilantro. You can probably tell from the photo, but I made them a bit too big. It would have been better if I had used my julienne peeler. Also, I used butter lettuce, which a lot of lettuce wraps call for, but honestly I prefer cabbage. It holds up better and I like the extra crunch. 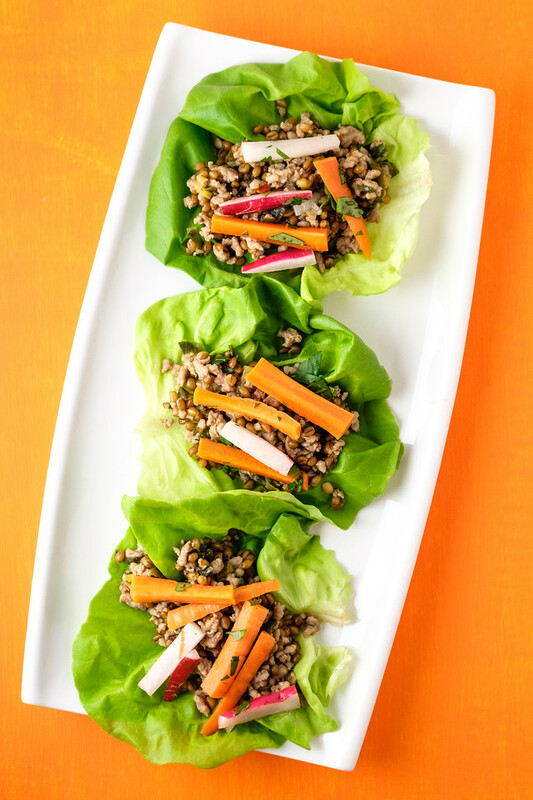 These Instant Pot Pork Lettuce Wraps have a healthy secret, they contain whole grain wheat berries. Pour the wheat berries into your Instant Pot and add 3 cups of water. Lock the lid into place and cook on high pressure for 30 minutes. When the timer goes off allow the pressure to release naturally for 10 minutes and then release the rest. Unlock the lid and drain the wheat berries in a colander. Wipe out the cooker. Turn the cooker to the Saute function and heat the oil. Add the ground pork and cook until cooked through, about 5 minutes, crumbling with a wooden spoon. Add the scallions, cilantro, lime juice, fish sauce, brown sugar and sambal oelek. Turn off the heat and add the wheat berries. To serve scoop about 2 tablespoon into each lettuce leaf. Make a garnish with julienned carrots and radishes tossed with a little lime juice and fresh cilantro. A great recipe for the Instant Pot, I love lettuce wraps and this will be delicious! So glad you could join us on Full Plate Thursday and thanks so much for sharing with us. Hope you have a great week and a very Happy Mothers Day! Yum! 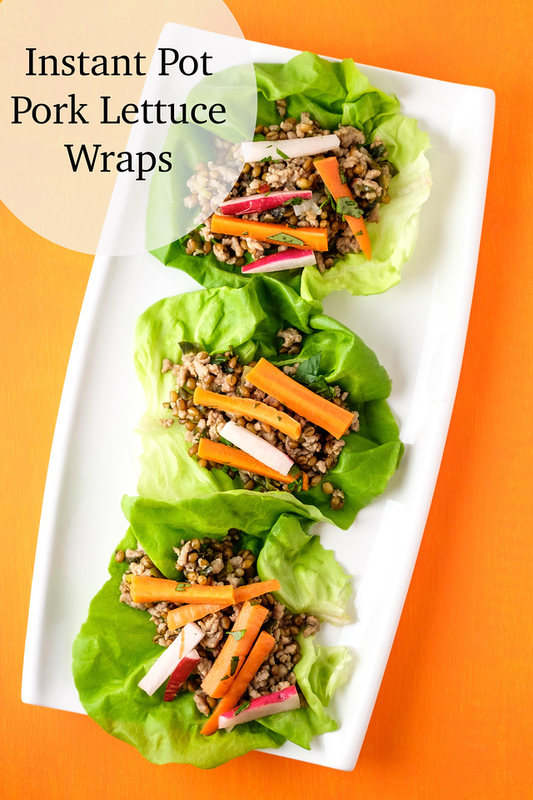 I love items like lettuce wraps for warmer weather! They are a nice, lighter meal! Thanks for sharing this tasty looking recipe! Loved the healthy take on the recipe, I added a little more salt to the pork while browning and slightly more fish sauce and lime. Sounds like a good idea. I’ll make note of your changes and try them too! What a nice suggestion for the small party I have this weekend. Thank you! I think I may have had laarb, but it was called something different….I’m so happy to find your recipe so I can try making it myself! It really was amazing and your recipe sounds so good! Scheduled to pin – Thank you so much for sharing with us at Hearth and Soul, Pam. Hope you will join us again this week – there’s some exciting news! What a delightfully refreshing meal!